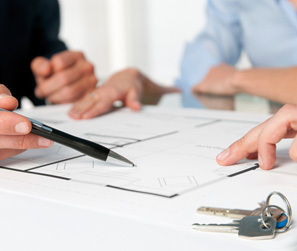 Real estate transactions involve significant investments and property interests. A successful lending or purchase transaction means protecting your property rights or recovering substantial damages. Any dispute could result in losing property and the financial interests you have already invested in a real estate deal. At the Law Offices of Steven Gourley, we appreciate the complex, high-stakes nature of real estate disputes and will take every necessary step to protect your rights and interests. Transactional brokers provide third-party real estate services to buyers and sellers. While real estate agents are only bound to assist one party, a transactional broker is legally neutral and can assist both buyers and sellers. Usually transactional brokers will charge a flat fee instead of taking a percentage of the sale. The transactional broker usually aids the buyer in preparing an offer for purchase while assisting the seller in deciding what price to ask. During this process, the transactional broker will facilitate communications, modify contracts and help to keep both parties informed about their rights and responsibilities at closing. Though brokers have no duty to either party, they are required by law to be honest and fair and to exercise due diligence. Our firm is committed to the business and industry of California real estate. We routinely co-counsel other attorneys who do not have the same level of experience or focus. In complicated disputes, we will act as expert witnesses to provide in-depth legal analysis and testimony regarding industry standards, compliance and regulations. For more information about residential or commercial transactions or to learn more about expert witness testimony services, contact the Law Offices of Steven Gourley online or at 424.286.9246. Our attorney and staff are dedicated to providing the highest level of advocacy and will employ years of experience and professional knowledge to protect your rights and interests.